Heartsone: Heroes Of Warcraft has made a name for itself in just a few short years. Now, betting markets are starting to emerge and it is useful to learn how and where you can bet on various Hearthstone tournaments! Among other eSports betting markets that were introduced in recent years, Hearthstone: Heroes of Warcraft game has also started making appearances. 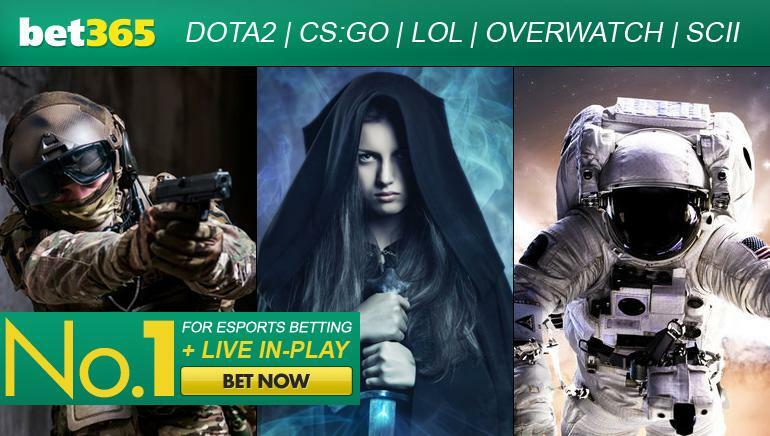 While Heartsone is a relatively new eSport, there are plenty of betting markets available and the game is quickly joining the ranks of Dota 2, Counter-Strike and League of Legends in popularity. World of Warcraft engaged millions of fans and hundreds of professional players to compete every day, developing different strategies and play styles, and it is not strange that the Hearthstone as a part of World of Warcraft franchise, drew such attention to its matches and betting opportunities. Hearthstone is a Forbes awarded best digital card game of 2013. It is a free strategy video game in which players play a card based game with familiar World Of Warcraft characters to compete and best their opposition. Hearthstone: Heroes of Warcraft is developed and published by Blizzard Entertainment and it was released on March 11, 2014 for the worldwide use. It is built upon the popular Warcraft series, using familiar characters and themes from the series. It was originally released for Microsoft Windows and OS X, and later for iOS and Android devices as well. Therefore, it offers cross-platform play which allows players to compete with each other no matter which device they are using. The only real limitation in the choice of opponents is the geographical region they come from. Players in Hearthstone collect cards that can be common, rare, epic, and legendary and can also be classified as weapons, spells, or minions. As soon as the match start players get the chance to pull three to four cards out of a 30- card deck. The main goal of the match is to defeat your opponent by destroying his health points, before he destroys yours. Of course, this game was designed for both beginners and advanced card game players. The latter can collect the deck of cards with diverse combinations used for destruction of the opponent´s chances or diverse strategies. These cards can be bought with either game´s gold currency or special accomplishments. The gold currency can either be gained in everyday tasks or can be bought with real life money. For all of these reasons, Hearthstone quickly became one of the most popular collectible card games (CCG), and, frequently, is one of the best eSport games at the moment. As it was already said, it attracts both beginners and experienced, professional players. Both the great prize pools and the concept of the game attract impressive players to try a hand in various tournaments. Most popular gamers in Hearthstone: Heroes of Warcraft are Octavian "Kripparrian" Morosan, Jeffrey "TrumpSC" Shih, Dan "Artosis" Stemkoski who won the best of five tournament, and Byron "Reckful" Bernstein who is a season winner of World of Warcraft multiple Arena. Much to everyone´s surprise, even during the closed beta phase, Hearthstone was part of a great number of tournaments, such are those organized by Major League Gaming and ESL. One of the most interesting tournaments was held in December 2013 when 2P Entertainment hosted a tournament with the greatest players of the Chinese region against the best ones of the American region. The prize pool for this tournament was set at around $4,840. The following year, in March 2014, TeSPA (The eSports Association) announced a new tournament, which was free of charge to enter, and it was meant for all North American college students. This tournament was called Collegiate Hearthstone Open and it featured $5,000 in scholarships. Other tournaments like Major League Gaming, ESL and the ZOTAC Cup continued to host small Hearthstone leagues in North America and Europe. The first Hearthstone World Championship was held at BlizzCon in November 2014. It included players from four regions and it featured a total prize pool of $250,000. First Hearthstone World Champion, American player, James "Firebat" Kostesich, received $100,000. The second Hearthstone World Championship was held at BlizzCon on November 7, 2015 where a Swedish player, Sebastian "Ostkaka" Engwall became the champion, until the Russian player, Pavel "Pavel" Beltukov won at BlizzCon 2016 on November 5th. Pavel won a quarter of million dollars and it is assumed that next year winner will win a cool million. The Hearthstone game revolves around the popular World of Warcraft (WoW) franchise, as players collect decks of cards with motives from the original Warcraft and WoW series in order to compete against one another. As with all the popular eSport games, Hearthstone betting is one of the popular aspects of the game. Punters are able to place bets on the straight up outcomes of matches or the tournaments and some bookmakers will even allow for the more intricate bets such as which player will play a legendary card first. Of course, if you are not comfortable with real money bets, there are bets where you can bet on matches using the items from Steam inventory. How To Get Started With Hearthstone Betting? First, it is good to understand the game, how it works, what cards can be used in which situations, which are the individual strengths of each class and which ones will cause most harm to the opponents. As soon as you understand how to deal with these things, you can have better odds of successful bets. For example, to do a research on individual players is a great way to start. Try to understand his styles and methods of playing, look at their skill level and statistics, and last, but not least, their in-game decision making. Since there are many competitive players that stream their matches on Twitch, everyone is provided with a chance of improvement in both playing and betting skills. Finding out about particular player’s style and methods he applies to gameplay will help you better predict his matches. By doing this, someone with a good overall grasp of the game can easily come out on top and beat the bookies in Hearthstone betting.